Regardless of religion, Easter is the perfect time for celebrating life and all the good things that come with it. For some, it involves giving and receiving lots of chocolate eggs, but there are plenty of people who can't have milk chocolate and others where chocolate seems inappropriate. Here's a little guide to some thoughtful items that you could give to someone that you care about, without resorting to milk chocolate eggs, all with the aim of putting a smile on their face. This is a box of little luxuries from independent producers, all of whom are ethically secure and care about delivering great products to happy customers. Each includes a pair of luxury wool lounge socks made from non-mulesed herds, a big bar of handmade chocolate from Lick The Spoon (choose from black forest or sea salt praline), a roll-on infused oil from Bloomtown to put on your pressure points at times of stress and a plant-wax tealight infused with serenity-inducing Ho Wood Oil, Ylang Ylang, Bergamot & Clary Sage essential oils. Life can be so fast-paced that we can easily lose contact with our friends - and even ourselves. This pack of pocket-sized colouring postcards may look simple, but they can bring on a lot of joy. The act of colouring will help your friend to relieve stress through the mindful activity, exploring their own creative ideas as they go. Once complete, they can send it to someone they care about as a little hello through the post. There are two sets to choose from, each with 20 cards. We've all got at least one person in our lives that is notorious for losing things. As uncomfortable as it can seem from the outside, losing your possessions can induce very high levels of anxiety and could lead to a life of being worried about misplacing other items. 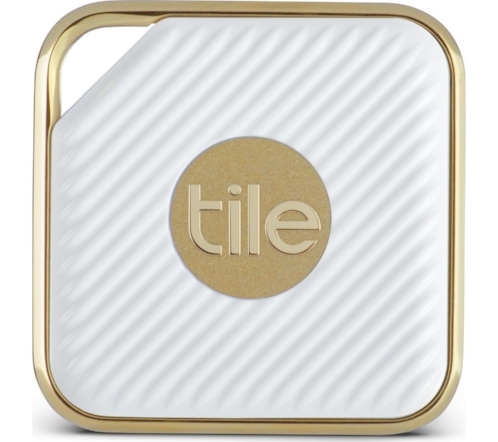 This gadget, the Tile Style, is a tracker that helps you to keep track of your personal belongings. It can be pinpointed to a location through an app, so when you attach it to your handbag or keys you will be able to find them using your phone. You can also reverse-call it, pressing the Tile to call your misplaced phone. Good affordable yoga leggings are hard to come by, but these ones from H&M tick the box. They are available in five colourways – black, red, dark grey marl and two patterned styles – so you can go as bold as necessary. What's more is they are made from a fast-drying fabric, which makes them highly functional for more energetic yoga practice, Bikram yoga and cardiovascular exercise. The waist is high with wide ribbing, so you avoid knicker-flashing during the downward dog, plus you feel all tucked in and secure during standing poses and twists. There's also a tiny pocket for keys in the waistband. We all need somewhere to declutter our minds, have a brain-dump and plan our lives. A beautiful notebook makes the ideal place to get your adulting stuff done, jot ideas, make lists or doodle during a long journey. Chroma Stationery's A5 Nebraska notebook comes in 10 colours, plus you can personalise it for free. Just tell them what you'd like written on the cover, where you want it to be, which font you'd like it written in and whether you want any embossing. You can even ask for illustrations or logos to be printed. For the gift that keeps on giving, personalise it with something inspirational, personal or something to make them smile every time they see it.